This was the "model" done by the librarian, but there was little need for it, except to tell the kids where the pictures SHOULD be pasted. The drive, the animals and the kids are all cut-outs that were pre-cut by my assistant. 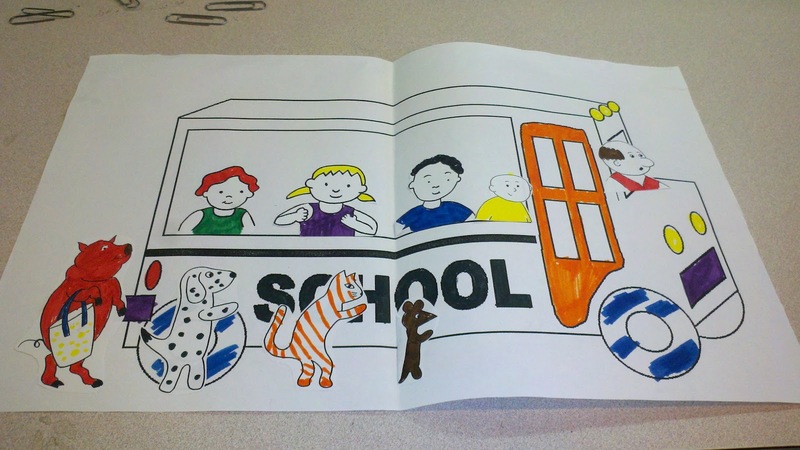 All the kids did was color them and slap on the pictures in the "RIGHT" places. The school bus w/o the logo would have been fine--and add your own people/animals. That at least would've allowed for some creativity on the part of the kids.